What will urban mobility look like in the future – and how can we make it safer? 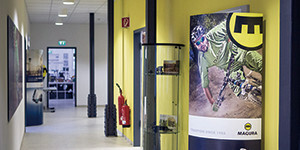 This is a question that MAGURA engineers are already answering with new product optimisations and technologies. For the first time, the Eurobike 2018 will see MAGURA presenting a ready-to-ride cockpit unit with fully-integrated brake and internally-installed cable. E-bikes have long since established themselves in city traffic and are often almost indistinguishable from ordinary bicycles. Fully-integrated batteries and motors ensure clear design lines and resistance to weather influences. 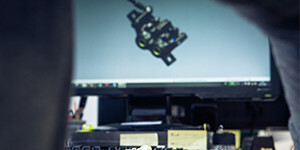 At this year’s Eurobike trade fair, MAGURA will present a first – a trend-setting design study for fully-integrated cockpit systems. 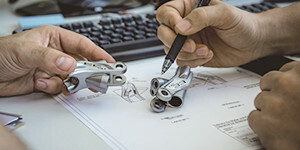 A handlebar stem unit with hydraulic brake, display and front light lies at the heart of the design study, which illustrates how consistent system integration can improve the design and functionality of E-bikes and S-Pedelecs. The handlebar unit, manufactured in cooperation with “bike ahead composites”, includes the hydraulic sensor unit for the brakes, a dimmable front light from the manufacturer Supernova, and a display for E-Bike and S-Pedelec operation. Only the two brake levers can be seen from the outside. Thanks to the modern carbon production, the design language of the frame can be absorbed and flows seamlessly into the cockpit – without external cables or protruding displays. 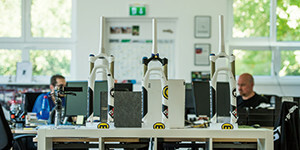 With this new design study, MAGURA has consolidated its position in the bicycle market as an innovative technology leader in the mobility solutions segment. “E-competence is our challenge for the future – and we dedicate ourselves to this challenge with passion, technological know-how and future-oriented cooperations,” says Olaf Müller, MAGURA Managing Director. With the new HGi heated grips – and the optimisation of their appearance – MAGURA has once again demonstrated its dedication to the needs of cyclists who are on the road all year round. The heated grips have long been a part of the company’s motorcycle portfolio – and now MAGURA is also offering them for E-Bikes and S-Pedelecs. The new HGi heated grips are powered by the E-Bike battery and are continuously adjustable depending on the interface, up to a maximum temperature of 40°C. The grips will be installed on bicycles of cooperating bicycle manufacturers from 2019. Even in this era in which the disc brake prevails, MAGURA continues to believe in the HS concept and the technologies that drive it. 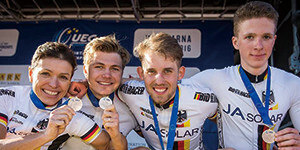 This is why the company has optimised all HS models, and equipped them with a new brake hose as part of MAGURA’s product maintenance for model year 2019. The more rigid brake hose ensures a noticeable increase in braking force and a significantly harder bite point. As a result, the brakes of the HS family continue to meet urban requirements – even in today’s E-Bike and S-Pedelec era. 100% problem-free braking is still the hallmark of the HS. To make it easier to choose the right brake, MAGURA has now given its disc and rim brake models the “e-bike ready” label. This label brings clarity to the new requirements and the additional loads of heavy E-Bikes and S-Pedelecs. “With their higher masses and speeds above 25 km/h, E-Bikes clearly place higher demands on our brakes. Thanks to this latest product update, our HS models offer even greater stability and braking power and can easily handle these new challenges,” says Heiko Böhle, Product Management at MAGURA. The new Storm HC brake disc with ABE is proof that innovation is also based on concrete legal requirements. 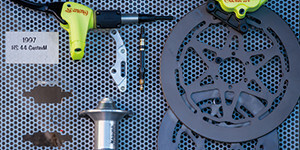 The legal situation with regard to retrofit components for E-Bikes and S-Pedelecs is often unclear for both customers and dealers – but the fact is, anyone retrofitting a brake disc not approved by the German Federal Motor Transport Authority (KBA) to their S-Pedelec has no licence and no insurance cover – and both rider and installation partner are liable. Since the beginning of 2018, MAGURA has been the only manufacturer to offer a brake disc with ABE. The Storm HC is approved by the KBA for all E-Bikes and S-Pedelecs and, unlike competitors’ products, it can be retrofitted in accordance with its list of uses – and with no legal issues. This means legal certainty – for customers and dealers alike. The situation is similar in the case of the performance and comfort brake pads, which have been approved in accordance with the ECE standard. 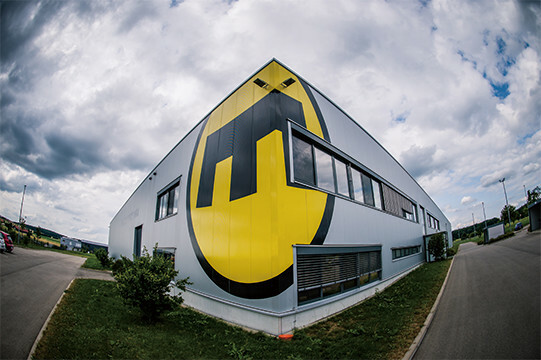 As a motorcycle and bicycle industry manufacturer, MAGURA combines various competencies that are becoming increasingly important in the development of new mobility solutions. 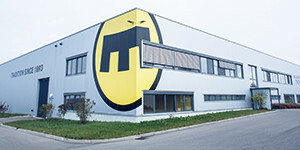 This makes MAGURA an innovative development partner for safe and future-oriented products.